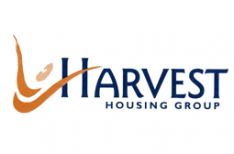 Harvest Housing Group is the parent body and service provider – strategic direction, corporate services, finance, business and service development and Harvest Response, our shared service centre. Frontis is responsible for the housing and neighbourhood services in Warrington and also developing key worker, affordable and other new housing products across the country. Outlook Homes Limited is the one-stop-shop for the house building industry. Working with house builders across the country developing affordable new homes for sale and rent. Providing a sales service for all home ownership products and agency services for property management companies. Manchester & District Housing Association - Delivering affordable housing and neighbourhood services and Private Finance Initiatives in Manchester, Greater Manchester and Cheshire. Moorlands Housing - Delivering afforable housing and neighbourhood services in Leek, Cheadle, Biddulph, High Peak and Cheshire. Partington Housing Association - Delivering affordable housing and neighbourhood services in Partington. Grove Village – Management of Council homes as part of a 30 year Private Finance Initiative agreement with Manchester City Council, which commenced in2003.